country, some of who eventually moved on to play in the United Soccer League. seasons for the RGV Bravos/Ocelots in the PDL and Southern Premier Soccer League. Nasko began his soccer career as a professional player in 1984 and played for 12 years in the Bulgarian Professional Football League where he capped 325 matches and scored 82 goals for 5 professional clubs. As a young player he went through the youth and academy levels of his first professional team “Marek” FC. His professional career continued in the US as he played for the Eastern Indoor Soccer League in Mississippi where he had 21 points in 20 matches in 1997. Nasko then began coaching and has extensive experience working with both boys and girls teams as Head Soccer Coach with FC Dallas, ASG and Andromeda FC. He won numerous league championships and tournaments, developed and promoted the teams to higher divisions, and helped many players sign letters of intent to different colleges. He was USSF Development Academy Head Soccer Coach for U14 and DA Assistant Coach for U16 and U18 teams with Andromeda FC for the 2014-15 seasons. 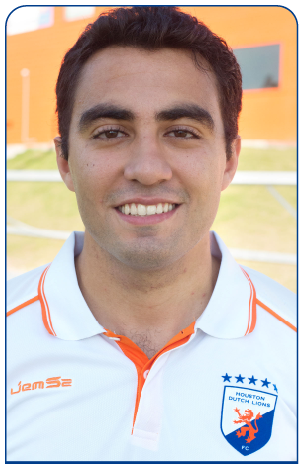 Andromeda FC appointed him USSF DA Head Soccer Coach for U16 and U18 teams in the spring of 2015. His college level experience includes work with both men and women’s teams in NJCAA and NAIA schools. He is currently in his 19th year of coaching at the college level. 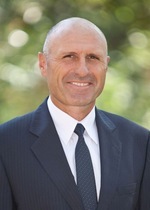 Nasko holds a Master of Science degree from the National Sports Academy University in Sofia, Bulgaria (1992) where he also received his Bachelor of Science Degree for Football Coach (UEFA “B”) and Teacher of Physical Education. He has a USSF “A” License (2014). In 2017, he completed the one year Post-Graduation Program for High-Performance Football Coaching in the University of Lisbon, Portugal.